I had an experience a few days ago that jolted me into introspection. A new friend of mine was interested in some herbal remedies for a particular ailment and had reached out to me knowing about my herbal background. I wanted to help her and so I dived into research and re-remembering mode. Ultimately though she ended up going with the advice of an employee at one of our local health food stores. Her retelling of the conversation is what sparked the introspection that had been creeping around the background of my mind for a while. I realized that I have not been sharing all that I know. I have not been telling people about herbal nutrition. I have not been telling them about plants as food as medicine. I have not been the teacher of these things in a while. Also, since I’ve focused on empowerment and depression and anxiety coaching, I have not taught about skincare and all of the amazing natural ingredients you can find in your kitchen or your garden for beauty and wellness. I haven’t shared what I know about chakras and crystals. I don’t talk about aromatherapy and essential oils. I know all of these things. All of these things are in my head and a part of my life. All of these things are the things that jazz me up with so much light. So why am I not sharing them? The simple answer is of course, because Leah you can’t do all the things. But that’s not actually true. I love designing graphics for instance. The universe graciously created a platform whose sole purpose is displaying them (Instagram). So I can teach about these things that I love through pictures for one. And not from the perspective of “will anybody care about this?”. But instead from the perspective of “I’m sharing because I care about this”. It’s for me more than for anyone else. It reaching anyone else is a beautiful bonus - but a bonus still. I realized that the tug of angst and FOMO that I feel when I see others sharing all that they know (even the things that they’ve just learned) is really the gentle nudge for me to share more. 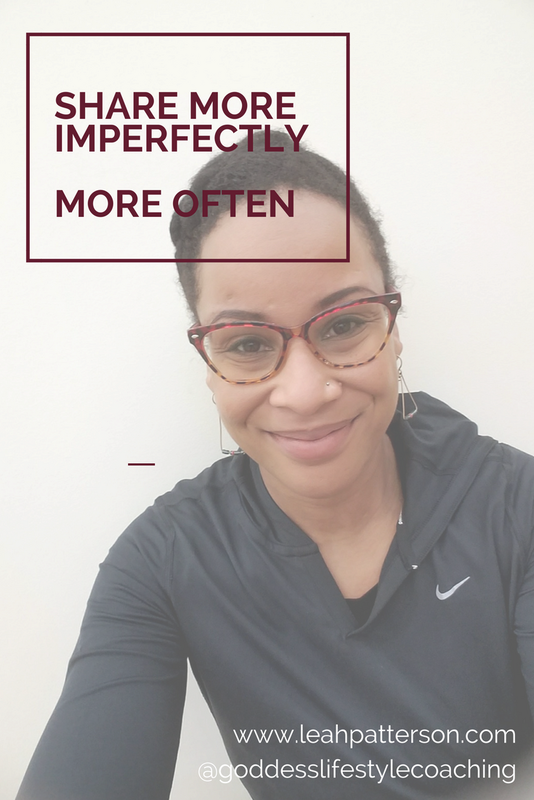 It’s the nudge for me to break my perfectionism in half and share more imperfectly more often. Authenticity is valuable. Lighting yourself up with the joy of the journey/creating/moment is necessary. Doing it for YOU is always the best starting place. What have you been stalling on doing for YOU lately? If you are in Little Rock on March 24th (it was postponed from this weekend because of our rain showers), please join me and a couple of other FABULOUSLY inspiring women as we tackle the hard question of what it takes to have the WILL to CHANGE. WINFit is a the brainchild of one of my dear friends, Holly Fish. She has not ever shied away from encouraging others to dive deep in order to inspire real change and this is going to be one of those events! 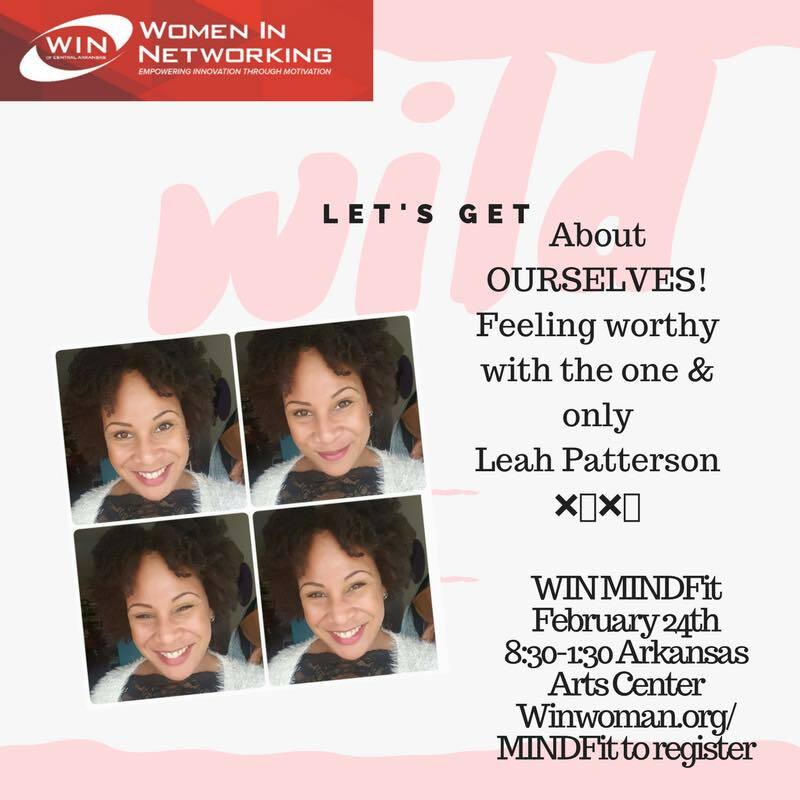 Check out the details on FB and at www.winwoman.org. I hope to see you there!